The Daily Courier 02 June 2010 - Regarding commissioner candidates attendance at new budget meetings, and how it is (mis)represented in news articles and letters to the editor. 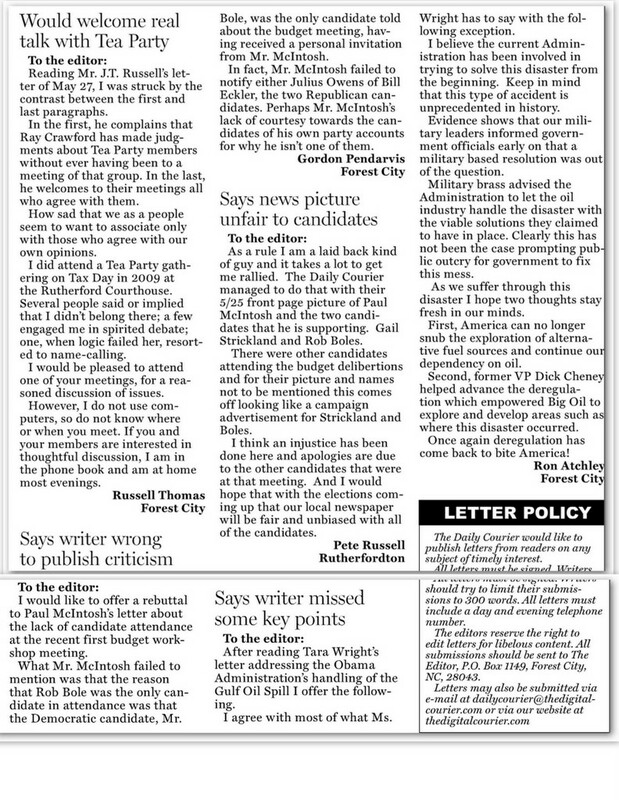 The Daily Courier Feb 11th 2010: Article on National Tea Party Convention (comments from Jen and Zoran in article). Just had my income taxes done and found out the State of North Carolina is in need of my money and they feel that they have that right to keep it as long as they need.